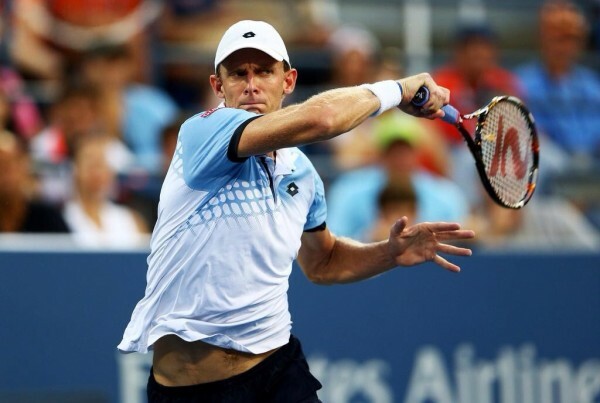 Kevin Anderson stunned former champion Andy Murray in an epic four set match to reach his first Grand Slam quarter-final at the US Open on Monday. The 15th seed hit 81 winners – 32 better than the Briton – en route to a 7-6(7-5) 6-3 6-7(2-7) 7-6(6-0) victory in four hours and 19 minutes on Louis Armstrong Stadium. The win was the 29-year-old’s first over a top-10 player in majors and his first in a round-of-16 match, following seven unsuccessful previous attempts. Next up for Anderson is French Open winner, Stanislas Wawrinka, who earlier in the day saw off Donald Young, 6-4 1-6 6-3 6-4. Murray had arrived in Flushing Meadows as one of the genuine title contenders, after defeating No. 1 Novak Djokovic to win in Montreal. However, facing the big-serving, 6’8″ tall South African, the 2011 champion was caught up in some form of ill-luck, act of melancholy and then tiredness, while he struggled but to no avail to rescue all hopes of reaching a 19th straight quarter-final in a Grand Slam. Kevin Anderson Shocks Andy Murray to Reach His First Grand Slam Quarter-Final in the 2015 US Open. Image: Getty via USTA. Anderson, on his own part, came up with one but sacrosanct mission of wearing Murray out till the death of it, and combining that with some huge serves – as fast as 137mph – coupled with 25 aces, there was no stopping him. The first set went with serves but Anderson gathered momentum in the tie-break to take it 7-5 when he beat his deep-searching opponent with a sensational forehand that went straight to the line. That restored Anderson’s confidence as he raced into a 5-1 lead in the second set. A bit of nervousness tried creeping into the Joburg native’s game while serving for the set, byt finally won it on his fifth set point. A furious and animated Murray summoned his best tennis to take out the third game, but just could not break away from Anderson in the fourth, which the South African eventually claimed in another tie-breaker.